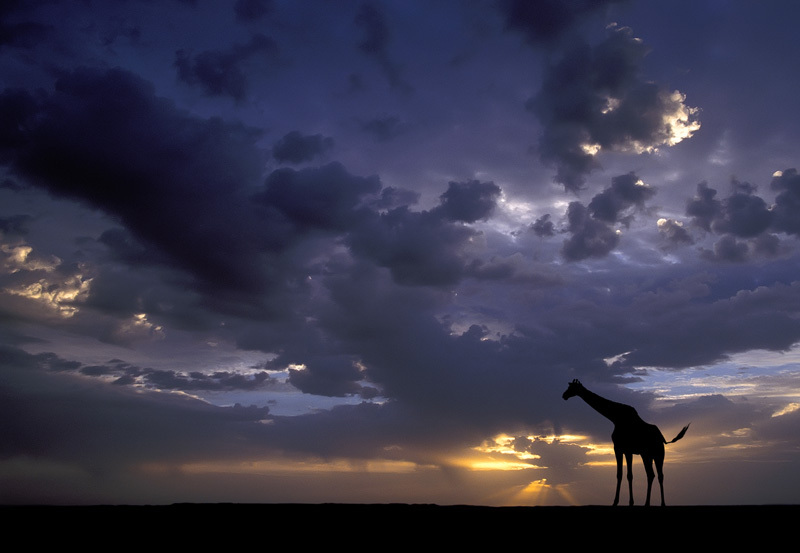 The rainy season is not the most popular season to visit Africa, but it's great if you want to get spectacular skies. This was shot just before sunset in South Africa. I was waiting next to a water hole to see what animals would come to visit, when I suddenly saw a small herd of giraffes walking in my direction. The sky was amazing, so I decided to use a wide angle, I made my composition, checked my exposure, and then waited for the first giraffe to enter the frame. This photograph won First Prize in the Nature's Best International Photography Awards.